I’ll be honest. My knowledge of the esports industry is at a beginner’s level. I was intrigued after watching an episode of “7 Days Out” on Netflix, documenting the seven days leading up to the North American League of Legends championships. There are plenty of great blogs out there covering the billion-dollar competitive video gaming industry. I tried to narrow it down to a few unique sites that focus on different areas of the industry. Posts on the DBLTAP blog are written by esports experts who love the games they write about. The platform also allows fans to write and share articles, which makes for a great mix of insider and fan voices. These voices also have a great sense of humor – check out the blog’s social media pages for proof. DBLTAP covers a range of esports games and writes “about the culture that encompasses this community as much as the games and matches themselves,” according to the site. We got our hands on the Mortal Kombat 11 beta. I found the marketing aspect to be one of the most interesting parts of the Netflix episode. As you can probably guess from the name, that’s exactly what this blog covers. 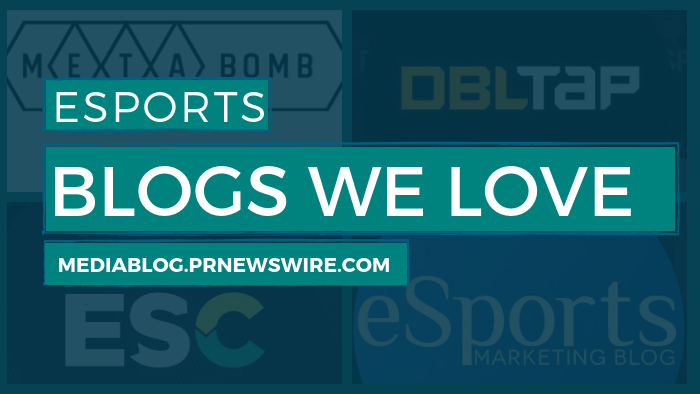 Blog posts cover the latest in sponsorship news as well as coverage of esports events and investments. DreamHack Expands to Mobile Esports Launching DreamHack Mobile Series, Mars Media and Disneyland Paris to Co-Host the Very First Dota 2 Major in France, and AT&T Taking Esports Strategy to New Heights with Cloud9 Agreement were interesting reads. I was drawn to the ESC (Esports Charts) blog for its unique focus on industry statistics and trends. ESC processes data from all known streaming platforms, including Twitch and YouTube, and creates graphs and charts to break down the details. The blog includes monthly reports of the most popular tournaments and streamers. It also posts tournament stats that include the average number of viewers, hours viewed, and which language streams were most popular. I recommend reading Esports Viewership Stats for 2018, Magic: A new peak, and Auto Chess: From being a mod to having its own category. Metabomb is a popular blog covering the latest tournaments, team changes, and game updates for Hearthstone, CS:GO, Destiny 2, Overwatch, Fortnite, and more. The blog also has the unique feature of posting gameplay guides for the games that it covers. The Metabomb site is well-organized and color-coded, allowing readers to easily find content for their favorite game. I enjoyed reading CS:GO – Best Players in the world 2019 and PUBG announces the FACEIT Global Summit, its first ever Major tournament. You can get an idea of the depth of the gameplay guides by checking out Hearthstone: Rise of Shadows Guide. P.S. Ever wonder how we come up with ideas for our blog profiles? Our handy list of industries and subjects on PR Newswire for Journalists stays top of mind. If you’re a blogger or journalist looking for esports and gaming news, let us know. We can customize a newsfeed for you.